From time to time, users may resize the grid in the lookup windows and would prefer to reset the grid back to the original height so they can view a larger quantity of the search results. This can be accomplished a few different ways. 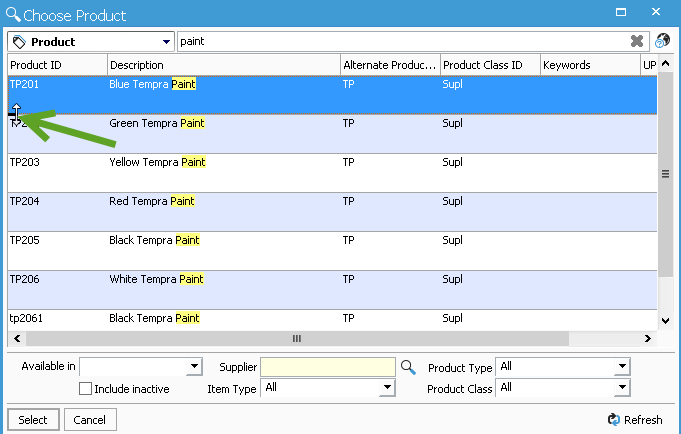 In the example, below, we are using the Product lookup window, but of the lookup grids function the same way. 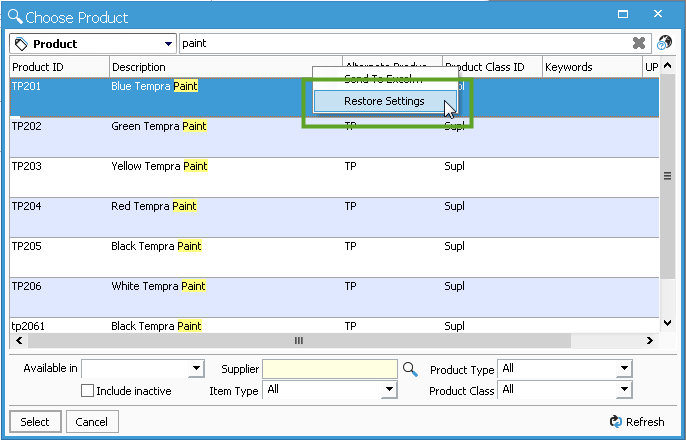 You can reset the grid settings by opening the Lookup window and right-clicking on any of the columns and selecting to “Restore Settings”. Another option is to drag the height adjustment bar up or down as you prefer. There is a small adjustment bar at the bottom of the first row in the results. Hover the cursor over this bar and you will see the height adjustment bar highlight and you can adjust the height accordingly.